Our children are wise. Sometimes more wise than we give them credit for. Maybe, as women, we could learn a few things from the children in our lives about how to be happy and joyful, so that we can become the women, wives and mothers we aspire to be. Remember what you’ve forgotten over the years and back to who you really are, so that you can embrace and become all that you’re intended to be. Realize that everything you’ve learned hasn’t necessarily served you and encourage you to gently and easily put yourself back on the path towards more love and more happiness in your life. Notice how wise our children actually are, and appreciate how much their unique perspective, voice, and light are needed today. When you live your own life with joy and love and self-appreciation, the children in your life will see that and learn from you – then they will embrace and become the fulfilled grown-ups they’re intended to be. Sharon Pope is Master Life Coach specializing in love and relationships, as well as a five-time #1 international best-selling author. 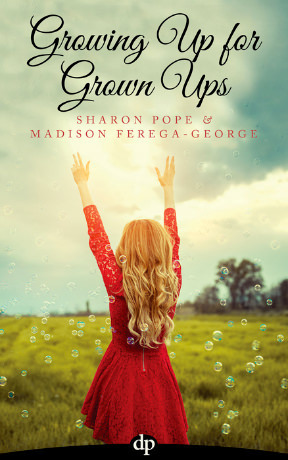 She wrote this book with her 17-year old niece, Madison Ferega-George, who has been like a daughter to her since the day she was born.